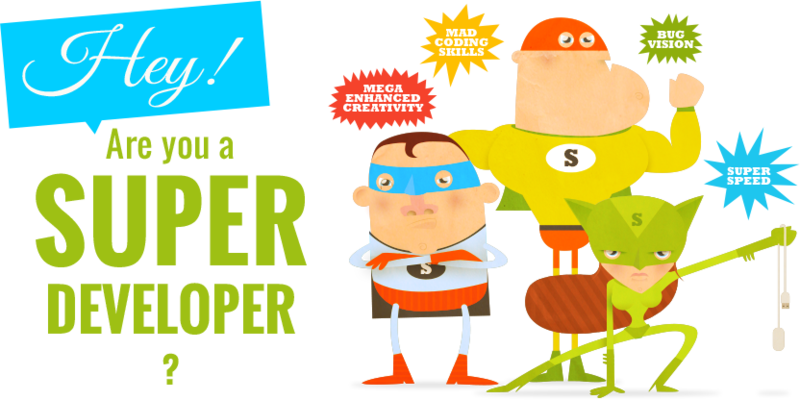 That is right - We are putting together a SUPER TEAM of SUPER DEVELOPERS and you have the chance to be one of them! We are looking for 3-4 amazingly awesome developers that will take Color Monkey to new heights. To work at Color Monkey you have to be talented, curious, fun, pleasant to be around, eager to learn, a team player and always on top of your game. You can not be afraid to pull up your sleeves and get to work. You should want to be part of building something new, something fresh and something exciting. And did we say you have to be talented? Cause, well, you have to be talented. We only want the best! Color Monkey do a lot of things. And we’re looking for people who can and want to take part in as many of those things as possible. We do a mix of internal and external projects. We work with everything from mobile phones, tablets to TVs and consoles. Our customers could be a mobile manufacturer as well as the person on the street. Your job will be versatile and you won’t be stuck doing the same thing over and over. We expect everyone to be part of coming up with ideas, having thoughts and input on other peoples ideas as well as being part of making those ideas come to life. Some companies offer you a place to work — we offer you a place to fulfill your dreams. So, again, are you a super developer? - Are you an amazing coder? Do you know C++ and ObjC or Java by heart? - Are you a great problem solver? - Do you focus more on possibilities rather than obstacles? - Do you like to the idea of working with design products and equally great designers? - Do you want to be part of a great team? Seniority is not a must, in fact, we welcome junior developers that have great potential and willing to work hard to live up to that potential. Seniority is not a must, in fact, we welcome junior designers that have great potential and willing to work hard to live up to that potential.